Dr. Leon Stanislav and his wife Ronna have been married since 1977. Ronna has been a nurse for over 40 years. They have two daughters, Alia and Kristy. Alia is an oncology nurse practitioner and Kristy has joined Dr. Stan as an associate dentist in his practice. Dr. Stanislav graduated from the University of Iowa dental school in 1977 and started his career with two years in the US Navy Dental Corps. He began his practice at our current location in 1979. Dr. Stanislav is a past president of the Tennessee Dental Association (2009-2010) and past president of the Tennessee Academy of General Dentistry (2011-2013). He is currently a member of the American Dental Association’s National Fluoridation Advisory Committee and has been a member of various councils and committees at the local, state, and federal level. He is also involved in the Pew Charitable Trust’s Campaign for Dental Health, as well as being a member of Medical Protective’s Dental Advisory Committee. Dr. Stanislav is ACLS certified in emergency life support care. Dr. Stanislav has received numerous awards and honors, including, Dentist of the Year by the Tennessee Academy of General Dentistry, two Distinguished Service Awards from the Tennessee Dental Association, he has been inducted as a Fellow in the American College of Dentists and the International College of Dentists. He is a Fellow in the Academy of General Dentistry. 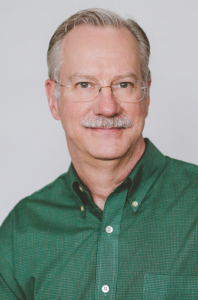 Dr. Stan has been honored as the March of Dimes Dentist of the Year several times and received the Leaf Chronicle’s Reader’s Choice Award in 2010. He has been given Rotarian of the Year in 1994 and 2000. He is a Paul Harris Fellow. Dr. Stan has many hobbies. He has been an avid cyclist all his life. He was formerly a registered United States Cycling Federation racer, biked and traveled in Europe including the French Alps, completed many century rides (100 miles or more) in his adult life and continues to stay in shape on his road bike or home trainer. Having a great love for nature, he is also an outdoor enthusiast enjoying sporting arms, hunting and helping with the management and conservation efforts in the hunting club which he has shared with friends for over 25 years. He occasionally enjoys wood carving and even carved, painted and gilded our sign out front!